Want to give your timepiece an edgy, modern makeover? A Zulu strap is the ideal choice for your needs. They offer style and strength, making them favourites among many timepiece aficionados. A Zulu watch strap from WatchBandit will enhance the style of your watch to give it an updated, on-trend look. 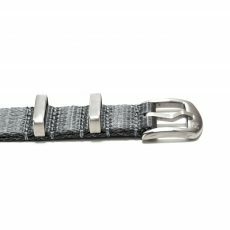 At the same time, a watch band from our collection will stand up to rugged wear, so you can sport your watch for all occasions and in all environments without worrying about your watch strap breaking or suffering wear and tear. 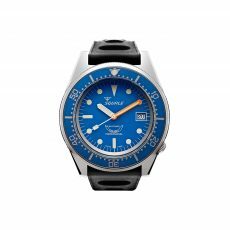 A Zulu strap is quite similar to a classic NATO watch band in that it is made from heavy-duty nylon. When you choose a Zulu strap, you’ll benefit from the band’s ability to fit your wrist securely while conforming to its contours, so that you feel comfortable and can move your wrist freely. The main difference between the Zulu watch band looks and the NATO bands in our collection is in the hardware. We use the same corrosion-resistant stainless steel for the buckles and loops but have kept to the traditional Zulu strap design in terms of their appearance and shape. 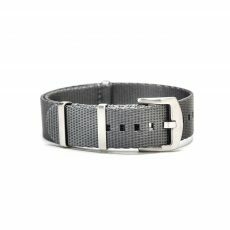 The loops and buckle are much thicker than what you’ll find on NATO straps, and they have a matte satin finish or a black PVD finish rather than a polished shine. 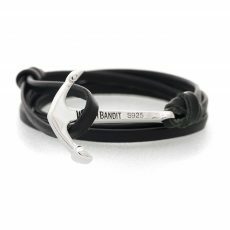 At WatchBandit, you’ll find Zulu strap styles in an array of looks. Our watch bands are all one size fits all for length and fully adjustable to meet your needs.